Unable to influence debate in the House of Representatives on the American Health Care Act, lobbyists and trade group executives are hoping for a more receptive ear in the Senate. "It really is a new day," said Chip Kahn, CEO of the Federation of American Hospitals, alluding to the fact that key Senate leaders have said they are writing their own bill. Among the federation's top priorities, Kahn said, is addressing Medicare cuts enacted in the Affordable Care Act, especially if a new law results in dramatic increases in the uninsured. 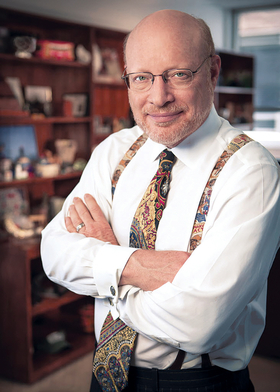 Kahn recently spoke with Modern Healthcare Managing Editor Matthew Weinstock about the health reform debate, as well as Kahn's call to streamline quality measures. The following is an edited transcript. Modern Healthcare: Trade groups were largely cut out as the House crafted the American Health Care Act. What's your strategy for engaging with the Senate? Chip Kahn:​ It really is a new day. Senate leaders have made it clear that they're going to look at what the House did but basically start from the bottom up. That gives hospital groups, physician groups and all stakeholders an opportunity to now visit with members of the Senate and their staff. On the one hand, it's repeal and replace. On the other hand, we need to have as many Americans covered as possible. It's best for the individuals who have coverage. It's best for those who are caregivers. So, in terms of changing the direction, we hope we can come out of the Senate with a bill that really keeps people protected. MH:​ Do you get the sense that they are receptive to your input? MH:​ What are the top issues for the federation? Is it Medicaid expansion? Is it essential benefits? What are the top three things that your members are really focused on? Kahn:​ I don't want to put one as a priority over the other, but in terms of the broad areas, we are very concerned about stability being maintained in individual coverage, both for those who depend on that coverage because they're not part of an employer group or are not part of a public program, and particularly those who are lower-income and got coverage through Obamacare. If they're going to do it a different way, that's fine, but we need to sustain that coverage. That's a priority. On the Medicaid side, in our experience the expansions have made a material difference for millions of Americans and we need to maintain that as best we can. If we're going to move away from it and they're going to apply some kind of limits on Medicaid over time, the policy has to be sensitive to how the healthcare needs of a Medicaid beneficiary can change. Another is that, as part of the ACA, there were significant reductions in hospital updates for payment, which were cut to help fund health coverage. It is really a tax, just as there was a tax on devices or a tax on insurers or a tax on the pharmaceutical industry. They couldn't put an actual tax on hospitals because 80% are either governmental or tax-exempt; for-profit hospitals are only 20%. They applied these cuts to raise money from the hospitals to help fund coverage. If we're going to see increases in the uninsured, and we're also going to be expected to continue to provide care that Medicare beneficiaries expect, those cuts will be too severe. The Congressional Budget Office and CMS actuaries for years have said that continuing those productivity reductions into the future was a big mistake and was unsustainable. We are really focused on those areas: stability in the individual market and keeping the low-income people covered. Whatever we do with Medicaid, making sure that the advances are sustained and, if the outcome of the policies affect coverage, making sure the productivity reductions, which are unsustainable, are turned around. MH:​ Ultimately, do you think we're going to see something get through Congress and make its way to the president's desk? Kahn:​ Each stage here of this process is very complex from a policy perspective and politically. It has a lot to do with the ideological construct of the Republican Party, as well as their vision of healthcare. I just find it very difficult to prognosticate as to what will happen in the next stage. Maybe they will put together a package and then we get to the third stage, which is what happens between the House and Senate. In the current world, I am just reticent to make a prediction. Kahn:​ The investor-owned sector has always been very strong at managing their hospitals to best serve their communities and patients. And, because by nature, they have been systems, and sometimes national systems, they can bring a lot of expertise to bear to help make sure that their hospitals are efficient and cost-effective. MH: How much of that is continuous improvement and how much of that is cutting costs? Kahn:​ Managerially, we are more efficient, and I think the numbers bear that out. It's a focus on performance both in terms of making hospitals safer for patients as well as helping patients have better outcomes. There's been a sea change in all hospitals over the past 15 or 20 years and we are at the top of that. Now, we may not necessarily have the name brand name as Johns Hopkins or the Mayo Clinic or some of those places have, but in terms of the metrics that the CMS does or that private payers do, I'd put our numbers up against any of those institutions. And sometimes we have better metrics than they do. MH:​ As we talk about metrics, you've also been somewhat critical of where we are with quality measures. In a recent blog on the federation's website, you wrote about the Balkanization of quality measures. What concerns you? Kahn: We need programs that allow for us to focus on measures that matter, and it's more than rhetoric. There are outcomes measures that are meaningful, that are the true indicators of what's happening in a hospital or what's happening in patient care. We need to really focus on those measures. Then going forward, we need a program that constantly evaluates where there are gaps and what measures are relevant, continuously relevant. Then, finally, and it could take different forms, we need some agreement across all of the payers, purchasers and consumer groups that want to have reporting of metrics. We want consistency across those measures. It's not to say that we wouldn't have some different measures from setting to setting, certain aspects of outpatient versus inpatient, but whatever measures we have in each of those settings, they ought to be consistent. Whether it's Aetna, Cigna, Kaiser Permanente or Medicare, we ought to be responding to the same measures. I don't think it's always well-understood, but you can have a measure for outcomes in diabetes, for instance, and it could literally be the same measure, but if different people are asking for it, the specifications and all the work that goes into building the results of that measure may be different. Insurers, purchasers, the CMS, physicians and hospitals need to come together and find commonality, whether we do it under the National Quality Forum or some other means. It will serve the patients well because it will mean that across this platform we know that, whether it's a private patient or a Medicare patient or a Medicaid patient, that we're looking at the same results from however they're being measured for performance and quality. MH: What are the implications if we don't get to that point? We've been talking about it for a long time. Kahn:​ If we don't really focus on measures that matter and we continue with systems that have some measures that matter but then have a lot that are required for various reasons, we're going to end up with clinicians and the providers viewing many of the measures simply as compliance. Not that you won't try to meet the measures, but what do the measures really mean for the patient?